When girls go wild. Watch out for the hit-wo-man! 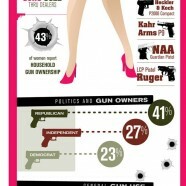 Increasing gun ownership by women.